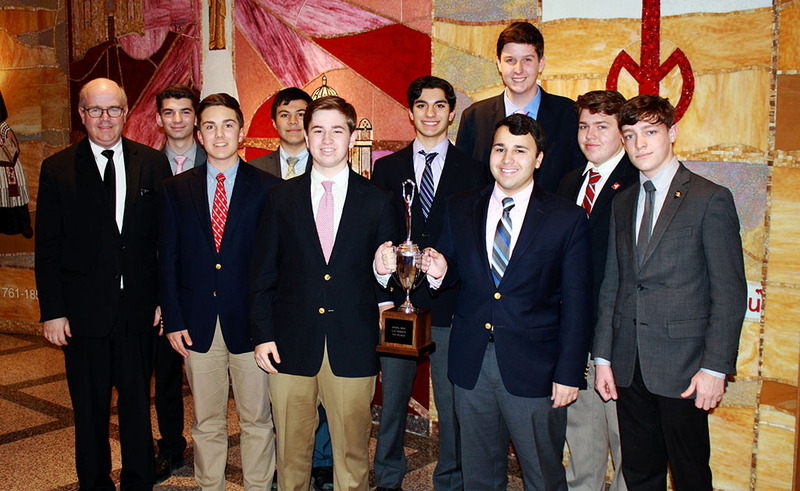 As a Catholic, Marianist school, Chaminade is rooted in a rich tradition of faith. Students practice their Catholic identity through prayer, Mass, retreats, and service. Mary serves as the inspiration for these activities; her message at the Wedding Feast at Cana to “Do whatever He tells you” (John 2:5) drives our men to open their eyes, ears, and hearts to God.